Remember – There is no substitute for Professional Advice. The very thought of being involved in an accident probably fills you with dread. You may not be able to work, you may be in hospital; you will certainly be in pain and feel confused. Where do you go? What can you do? Your instinct is probably to seek professional advice, an instinct you should follow. We have many years experience in bringing cases before the Personal Injuries Assessment Board and the lower and higher Courts and in ensuring that our Clients receive their full entitlements. When we consider compensation claims we are conscious of the considerable vulnerability of the injured person. Key elements of our service are empathy and understanding. It is traumatic enough to be a victim of an accident. It is important not to be the victim of poor decisions at a time of considerable vulnerability. Why use a Personal Injuries Solictor? A person will often feel vulnerable and confused following an accident and may also be under considerable pressure from an aggressive insurance company to accept a meagre settlement. Using a personal injuries solicitor will ensure that you receive proper and adequate compensation for your injury and for other important matters such as loss of wages, medical expenses and any other expenses incurred as a result of the accident. Using a personal injuries solicitor is the best way of ensuring that your interests, and your family’s interests are fully protected. We specialise in personal injuries litigation and have obtained compensation for numerous clients since the practice was established in 1990. We will ensure that your interests are protected. So, What is the Personal Injuries Assessment Board? Claims must first be routed through the Board. 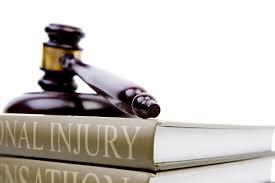 All injury claims are required to be submitted to the Injuries Board first, but the matter can be referred to the Courts if either party rejects its findings. By far the greater percentage of injured persons have opted to have their claims presented professionally before the Board by a solicitor. 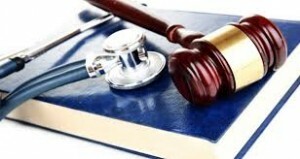 Only your Solicitor is best placed to represent your interests. Of course, you’ve suffered, and no amount of money can ever truly make up for the physical pain, psychological displacement and disruption that a car accident can cause, but the compensation you deserve will help to make up for lost earnings and provide any care you may need. To many people, their job is a key part of the person they think they are. It’s not just a means to an end, it’s a crucial part of their identity. That’s why injury or illness caused by negligence in the workplace can have an impact and ramifications far beyond the immediate physical suffering. In the event of being injured in a work related incident which has been caused by the negligence of others, you have every right to feel let down, either by your employer, or your workmates. 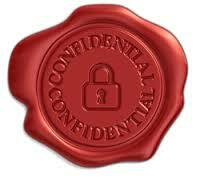 There are many others forms the evidence could take, often dependent upon the nature of your workplace. Your solicitor will see to it that this evidence is preserved and available in support of your claim. Your solicitor will then help you establish that your employer is liable for your injury. You are not alone. An expert solicitor will be on hand to guide you every step of the way. Employers are insured against any losses incurred as a result of your claim – you won’t be taking any money direct from your boss. Employers may actually welcome one or two cases which help them to strengthen health and safety standards, thus avoiding larger injury claims in the future. Strictly enforced laws mean that employers unwilling to compensate for workplace injuries or to adapt their practices will face far stiffer penalties. Workplace compensation is not a ‘punitive’ system – your boss isn’t being punished for your injuries, you are being compensated to a level which is reasonable when taking into account your pain, inconvenience, trauma, lost wages etc. Only a bad employer would have any objection to ensuring the well-being of a worker injured in the line of duty. A slip, trip or fall can happen anywhere and it may be unclear as to who is reponsible for your injuries. If you slip on a pavement or road is it owned and maintained by the council or by a private firm or individual? If you slip on a wet patch at work are you employers liable or is it the plumber who didn’t fix the pipe properly? These are all questions that you will not be asked to investigate on your own. Your solicitor will be able to advise you on the best route to finding out and your options depending on who is at fault. What you need to do is to obtain any evidence that may be time-sensitive. E.g. if you have tripped over a broken up piece of road then try and get a photograph of it before it is repaired. If you slipped on something wet at work check that other people saw the puddle before it was cleaned up. Get in contact with your solicitor as soon as possible as they will often have their own investigators who can document the evidence properly. They did not employ an adequate number of staff so that broken glass, discarded food and spillages could be dealt with immediately. Floor coverings are inadequate, in poor condition, cleaned with the wrong products or are the wrong sort for the area they are in e.g. non-slip floorings should be used in public toilets and care should be taken with the choice of flooring for stairs. There is inadequate lighting on stairs or around other such hazards. There are obstacles like trailing cables. Stairs and steps do not have the right flooring or protective edges to prevent people slipping or falling. Steps have not been taken to make the premises safe and accessible for those with disabilities. Farms are notoriously dangerous workplaces because not only are workers having to work around lots of different machinery, they are also working in very busy environments and with unpredictable animals. However, it isn’t only farm workers who suffer accidents at farms, children and members of the public can also be injured. According to Health and Safety Executive (HSE) statistics, the agricultural world has one of the worst accident, occupational ill health and fatality records of any of the major employment sectors. If you have been injured, or someone you love has been killed or injured, in a farm accident that was not your fault, then you should be able to make a personal injury claim. Compensation, no matter how large the award, can never fully compensate you for your injuries or for the death of a loved one, but it can help you to rebuild your life, pay your expenses, help provide for dependants and also stop the accident happening to someone else. You taking the farm or employer to court should make them look at their health and safety policy and help protect other workers or members of the public. Look for a solicitor with an expertise in farm accidents or work accidents and who will work on a no win no fee basis, and don’t leave it too long. Accidents happen. Sometimes these accidents, occur because of an institutions or individual’s negligence. It is for this reason that Professional Indemnity Insurance is held. The Medical Profession is not exempt from this reality and, unfortunately, personal injuries can occur in the hospital and medical care environment whether resulting from misdiagnosis, failure to adhere to acceptable standard or mistakes during Medical Procedures. We at O’Shea Russell has been pursuing such claims for over 20 years and have accumulated a wealth of knowledge and experience of this area of legal practice. Don’t be alone……..we can help.